1) Right-click "Computer", select "Properties". 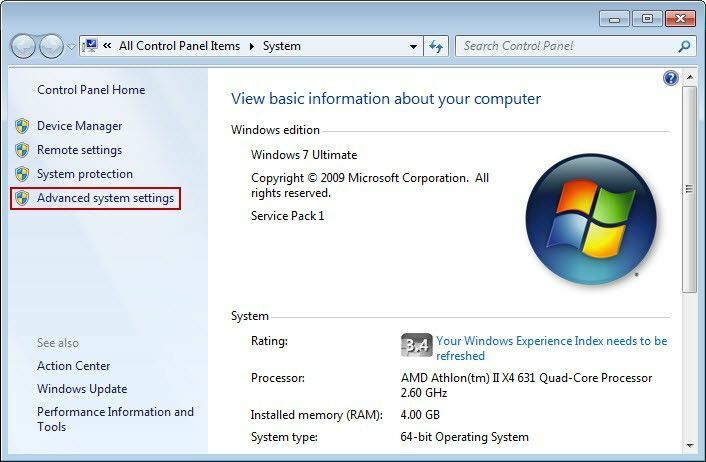 2) In the pop-up "System" window, click "Advanced system settings" (Figure 1‑1). 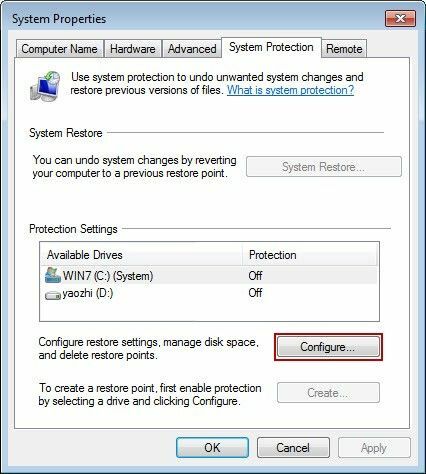 3) In the "System Properties" dialogue box, click "Configure" button, and the click "System Protection" tab (Figure 1‑2). 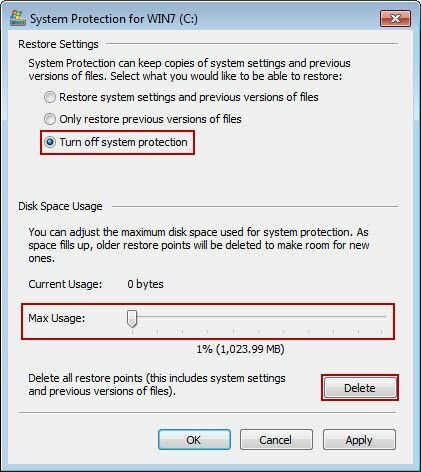 4) In the pop-up "System Protection for WIN7" dialogue box, select the "Turn off system protection" button; click the "Max Usage" slider, drag to the left; the disk space usage is set to the lowest; then click "Delete" button, delete the recovery point, then click "OK " button (Figure 1‑3). We have created a video - "Recovery Point Optimization" (start from about 02:49).